We are the No 1 choice for Companies in Manchester who require a 5 star electrical service, we also provide a dedicated price match guarantee on any like for like quote, for any electrical installation . We offer a bespoke service for Academies In Greater Manchester, with working available outside normal working hours. Manchester Electrician ltd Academy Electricians specialise in Niceic Electrical Testing for Academies.All our electricians are Niceic approved. Manchester Electrician ltd Academy Electricians are your local Electricians in Manchester. Welcome to our Academy Electricians web page. On this site we offer a comprehensive Electricians service in Manchester. You will also find local information about Manchester, it's location and history. The site contains information on our local Academy Electricians and some local history information about Manchester. You will also find a list of areas covered by our Academy Electricians. Our Academy Electricians offer a complete range of electrical services which include, fixed wire electrician inspections, electrician installations, electrician repairs and electrician maintenance, all carried out by professional local Academy Electricians. Our Academy Electricians services range from full electrical project management to the installation of a single socket. We work in line with British standard BS 7671:2008, so you can trust all our work is carried out to the highest standards. 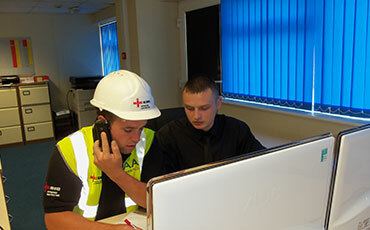 Our Academy Electricians are friendly, helpful and can provide free quotations. All our Academy Electricians are fully qualified, professional & experienced. Our Academy Electricians offer a bespoke service working outside normal working hours for commercial clients. Electricians for Academies Manchester Full Electrical Installations including design, installation and maintenance. Electricians for Academies Manchester Rewires including partial rewires and upgrades. Electricians for Academies Manchester Fusebox & Consumer Units installations and upgrades. Electricians for Academies Manchester Lighting, mains voltage, low voltage, downlights & LED. Electricians for Academies Manchester Sockets and & Lights installation & fault finding. Electricians for Academies - Local. Manchester Electrician Ltd are your local Electricians for Academies in Manchester, we can cover all your reports and paperwork. We can also carry out electrical maintenance to existing buildings, this includes inspection & testing (periodic inspection reports). Academy Electricians will carry out an electrical survey, known as a periodic inspection report (PIR) which will reveal if electrical circuits are overloaded, find potential hazards in the installation, identify defective work, highlight any lack of earthling or bonding and carry out tests on the fixed wiring of the installation. The report will establish the overall condition of all the electrics and state whether it is satisfactory for continued use, and should detail any work that might need to be done. Manchester Electrician Ltd Electricians for Academies in Manchester carry out all work to the highest standards, to each individual customers requirements and at highly competitive and affordable rates. Our Electricians for Academies offer 24 hour callout services . Our Electricians for Academies have 30 years experience in the Manchester area. Our Electricians for Academies have more than 30 years experience as professional and reputable electricians in and around Manchester and the greater Manchester areas, Our Electricians for Academies have also generated an envious reputation as Electricians due to the quality of our work, coupled with our at highly competitive and affordable rates. Manchester Electrician Ltd are your local Electricians for Academies in Manchester. We are LED Lighting Installation and Conversion specialists, working for the retail, commercial and educational sectors. We provide free LED lighting surveys and quotations, with no obligation.